Barclays is expected to place its comms function at the heart of a wide-ranging post-Libor review of its business following the departure of its top comms man. Barclays' vice-chairman for corporate affairs Howell James resigned from the crisis-hit bank last week, after four years at the helm. One source with close links to Barclays pointed out that newly appointed chairman David Walker - joining in November - would be expected to stamp his authority over any decision regarding a replacement for James. The remaining senior UK comms team including recently installed head of corporate Stephen Doherty, director of media relations Giles Croot, and MD, public policy, corporate comms, strategy and planning Matt Hammerstein currently lead the way following James' departure. 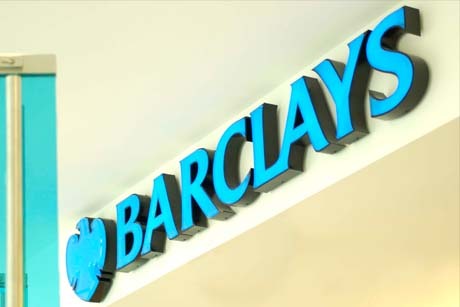 A Barclays spokesman said that any decision on a replacement for James would follow 'various reviews across the business into practices and procedures', referring to an independent review currently being carried out by Rothschild executive vice-chairman Anthony Salz. The review comes after a momentous year for Barclays, in which former boss Bob Diamond resigned following revelations of the Libor rate-rigging scandal that led to the bank being fined £290m. Speaking last week, Barclays' new group CEO Antony Jenkins pointed the way towards a more transparent and ethical future for the bank, post-restructure, stating that it needs to 'take responsibility for its own actions' and not rely on existing regulation. Porter Novelli director and corporate practice leader Neil Bayley suggested that Barclays should be looking outside the financial services industry for James' successor. However, one senior financial services PRO suggested that personnel was not Barclays' primary issue, given it already employed Doherty and Croot. Instead, the source said the comms division needed a cultural overhaul from an era when Diamond tightly controlled the PR function. Whoever replaces James to lead the comms team needs to be a respected partner to the CEO and an influential voice at board level. This is the only way in which the story that Barclays wants to tell in the future will have an authentic and impactful voice. It's a high-stress, complex, multiple relationship-building role in a tough environment. The new CEO has been open and honest about the past, but how the bank's positive intent is put into practice will be the acid test. Comms within the banking industry is under more scrutiny than ever before. Barclays' vice-chairman for corporate comms to leave without another job lined up. Howell James, Barclays' vice-chairman for corporate affairs, resigned from the crisis-hit bank last week without a job to go to. James, who had served as Barclays' top comms professional since September 2008, will leave at the end of the year. Earlier this year, he oversaw comms during the period when the bank's reputation was dragged through the mud over the Libor rate-fixing scandal. James said he was looking forward to a fresh challenge and 'recapturing my life'. He was hired by Barclays after working as the Cabinet Office's permanent secretary for government comms - a role that was subsequently axed - for four years. During his tenure as the Government's top comms adviser, James was involved in creating a more joined-up approach to comms. Before the Cabinet Office, he was a director and founding partner at Brown Lloyd James and political secretary to the then prime minister Sir John Major. He also worked as director of corporate affairs at Cable & Wireless and the BBC. Source: *Barclays; **Widely reported; ***The BBC.